Demi Lovato and Nick Jonas may have the cutest friendship ever, but are they more than just bffs? Have they ever muddied the waters a lil' bit, or at least thought about it!? Well, a song on Demi's sixth studio album Tell Me You Love Me is sure adding fuel to the fire. Demi appeared on The Ellen DeGeneres Show to promote her new album and Ellen took it as an opportunity to put the singer on the spot about those perennial "Nemi" romance rumors. "Something that I will always keep to myself is who I write my songs about," Demi responded. But like, coyly. 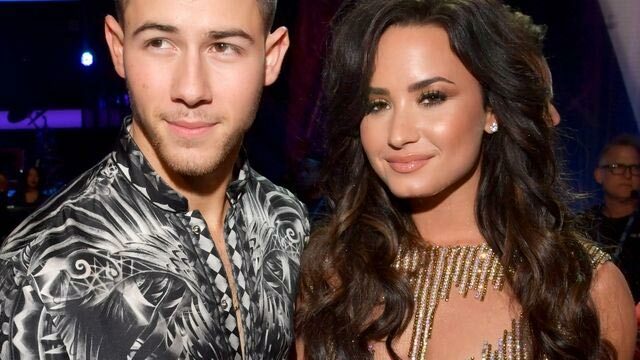 Demi dated Nick's brother Joe Jonas in the past, and the two previously said they only have a platonic friendship on James Corden's Carpool Karaoke. "You two are very close friends, right?" James asked in the May 2016 segment of The Late Late Show. "You two never [dated]?" "Nope," they both answered. "Not even like a 3 a.m. pause when you look into each other's eyes and go, 'We're not going to do this are we?'" James joked, which Demi and Nick again shut down.